Offshore trading of China’s currency is growing rapidly. The offshore RMB market first emerged in 2004, in Hong Kong. 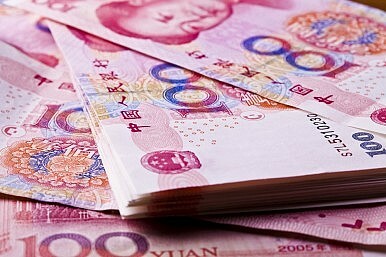 Starting in 2009, China allowed the RMB to flow outside of the country for use in payment for goods and services or particular investment purposes. In July 2010, dim-sum bonds, or Chinese currency-denominated bonds, became issuable outside of China and Hong Kong. The offshore RMB is designated as CNH (as opposed to the domestic CNY) and has become increasingly traded. Since 2009, many countries have attempted to build up their offshore RMB centers. The offshore RMB market in Hong Kong is the largest. According to Reuters, RMB deposits in Hong Kong measured in at 955.8 billion RMB ($153.85 billion) in May, while RMB deposits in Singapore were at 220 billion RMB ($35.43 billion) at the end of March. RMB deposits in Taiwan were 290 billion RMB ($46.71 billion) at the end of May. Other regions are actively attempting to enhance their status as offshore RMB markets. Many nations have increased their RMB liquidity through cross-border operations of banks, while more than twenty nations have RMB bilateral swap agreements in order to provide RMB liquidity to local entities. The RMB derivatives market is growing. The Chicago Mercantile Exchange Group, the Hong Kong Exchange, and the Singapore Stock Exchange have become involved in the RMB derivatives market, which includes CNH forwards, options, cross-currency swaps, and interest rate swaps. CNH forwards usually include relatively short 1-3 month tenors, and this market has demonstrated strong liquidity and competitive pricing. The CNH currency market includes both vanilla and complex options, with tenors from 1 month to 5 years, as well as cross-currency swaps, with tenors from 3 months to 10 years. Interest rate swaps are available but are somewhat less liquid. The offshore RMB market is nascent and faces several barriers to growth. For one, the offshore RMB market continues to be constrained in investment opportunities. Currently, Chinese companies are able to use the CNH for foreign direct investment outside of China, while the converse is true for international companies; funds can also be used for investment in Mainland China through for RMB Qualified Foreign Institutional Investors. In general, investment in dim-sum bonds is permitted. However, dim-sum bonds lack credit ratings, which obscures their level of risk and quality, and the issue size of these bonds is small relative to onshore bonds. The latter is in large part a product of restrictions on the bodies that can issue dim-sum bonds. The offshore RMB market, with more development, will nonetheless assist the Chinese leadership in reaching some of its financial goals. The leadership confirmed at the National People’s Congress in March that one main target of the reform process is to liberalize the exchange rate; People’s Bank of China Governor Zhou Xiaochuan confirmed that this would be completed by 2020. To this end, the offshore RMB market provides financial infrastructure through which to exchange, hold, and speculate upon the Chinese currency. China is also aiming to further liberalize the capital account. While the extent to which the leadership is willing to go to open up to foreign capital flows is unknown, the offshore RMB market creates a base for foreign holdings of the RMB. As the capital account opens further, increasing amounts of RMB currency transactions and holdings are given a foothold via offshore RMB centers. While the CNH and CNY currencies have diverged in value, it is expected that with further capital account liberalization, the currencies will over time converge, making offshore RMB markets a critical component of a developed financial system. The ultimate aim of Chinese authorities in establishing offshore RMB markets is to promote the RMB as a major international currency. The RMB is currently the seventh most-used payments currency in the world. However, the RMB accounted for only 1.47 percent of global payments in May, and has a long way to go before it overtakes heavily used currencies such as the euro, the Swiss franc, or even the Canadian dollar. Expansion of offshore RMB markets is a key step in this process, and happily, both international regions and the Chinese leadership are in favor of this move. Capital account liberalization is not the key to internationalizing China's currency.